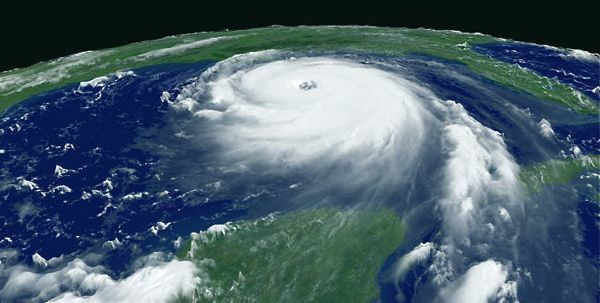 On the third anniversary of Hurricane Katrina‘s devastation along the Gulf Coast of the United States, another huge hurricane, Gustav, is howling around Cuba and heading for New Orleans, which was devastated by the 2005 hurricane. New Orleans Mayor Ray Nagin is calling Gustav “the mother of all storms,” and has ordered the mandatory evacuation of the city’s residents. The storm is picking up in intensity, and is expected to make landfall in the US on Monday. Fears abound about a repeat humanitarian catastrophe in the aftermath of the hurricane as in ’05. One major difference this time around which gives us hope is the proliferation of social networks, and the coming together o highly connected users of social media to mobilize help. Around that same time, Andy Carvin, coordinator of social media strategy for National Public Radio, set up a Gustav website on the do-it-yourself social networking platform Ning to coordinate volunteers and list what needs arise. Street sent lots of direct messages to other widely-connected Twitter users to please spread the word of the social network efforts to their friends and followers. He and Carvin, working from opposite coasts and far away from the storm’s path, asked for hurricane help, and received it by the bucketful. Over the past few hours Saturday evening another Twitter user set up the script so that Twitter account @GustavAlerts would tweet the latest government hurricane alerts. Michael Bayer, who founded Utterz, set up a special Utterz widget for displaying “utters” about Hurrican Gustav. A collaborative Gustav Wiki is under construction by two others and will be available through the Ning site on Sunday. These efforts are meant to coordinate with the “older” new media like Craigslist and with traditional relief agency Red Cross, which organized massive emergency relief efforts in the aftermath of Katrina. If you have other online resources for coordinating hurricane relief, please let us know in the comments below. Since many in Gustav’s path will not have internet access, a mobile-based resource guide has been set up here: http://ventana.cerado.com/gustav08 .